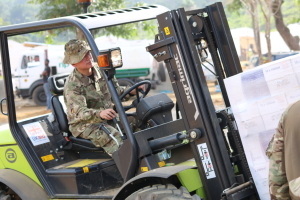 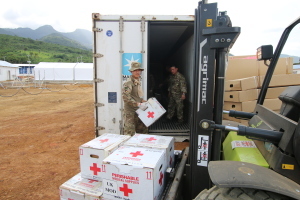 A team of 30 Gurkhas are currently in Sierra Leone where they recently completed the building of a field hospital to treat victoms of the Ebola outbreak. 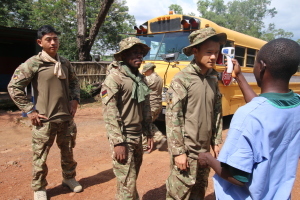 Operation Gritrock saw the members of 10 QOGLR command and support the Ebola Training Academy (ETA) established just outside FREETOWN with a a supply detachment of also deployed in order to support the establishment of the Kerrytown Treatment Unit (KTTU). 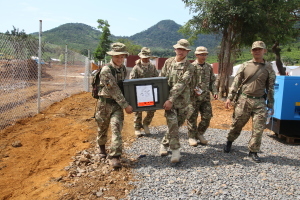 They have joined the OC 36 HQ Sqn who has deployed as SO2 J4 Plans in the JIATF based in Freetown. 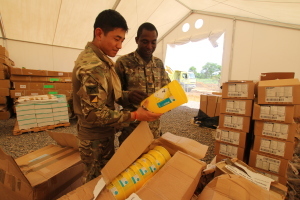 In the UK a ‘Reach-back’ Cell based in Aldershot is processing and placing logistic demands from Theatre.